When you’re learning how to trade penny stocks, you need to understand how to deal with risk. Risk management is one of the keys to success when you’re trading penny stocks. Now, penny stocks are cheap and could have high potential returns. Like always, the higher the reward, the greater the risk. It’s probable to profit if you understand how to trade penny stocks, but when you don’t the odds are stacked against you. That said, let’s take a look at how you could potentially mitigate risk when trading penny stocks. 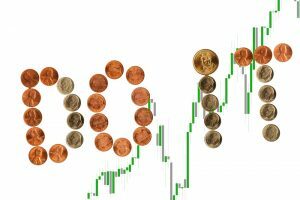 If and when you get good at trading penny stocks, you could generate a high return with a low initial investment. Since penny stocks are those that trade under $5, you could easily size up in these, unlike blue chip stocks. However, there are some risks with trading penny stocks. We’ve all seen it before. A bunch of people on social media talking about a penny stock success story. Heck, you may have even gotten an email about a penny stock success story. However, you can’t just trust people on social media or someone sending you an email about a penny stock that just doubled overnight. You should never trust a random person on social media telling you to buy a stock. They could be part of a pump-and-dump scheme. Basically, they may just want people to drive the stock up, only so they could sell it at a higher price. When you’re learning how to trade penny stocks, you need to focus on the process first. You shouldn’t look to hit a home run on your first trade. Rather, you want to learn the basics and the trading process when you’re looking to trade penny stocks. No matter what stock I’m trading, I always conduct my own due diligence. 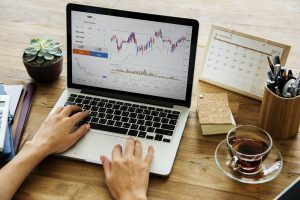 If you want to learn how to trade penny stocks, this is an important factor to take into account. You need to be prepared, and that may mean knowing specific technical levels and news. Before you even make a trade, you need to know the facts. In turn, this should help you in making better trading decisions. You don’t want to randomly buy a penny stock just because someone told you it was up 100% and could run higher. You’ll just be chasing there. For example, if I see a stock up significantly, I’ll look at the facts and see if the move was justified. However, I’m not chasing the stock up. I would wait for a pull back and try to participate in the next move higher. Here’s a look at an example. Naked Brand Group (NAKD) announced it would be merging with another company. Thereafter, I conducted my own due diligence and verified the news. However, the stock ran up over 200%. I noticed the stock was forming a bull flag just above $8. So I bought 3K shares, and my price target was above $10. I would’ve stopped out if it broke below that level. Now, the stock actually broke above $10, and I sold half of my position there. When you’re first learning how to trade penny stocks, stop-losses could be extremely helpful. Basically, you could set a price at which you would sell out of your position if it’s moving against you. Many beginner traders don’t use stop-loss orders, and it often hurts their trading account. For example, if you think a penny stock could rise from $4 to $4.75, you should risk no more than 50 cents on the trade. Ideally, you want a risk-reward ratio greater than 1-to-2. In other words, for every $1 you risk, you should look to make at least $2. 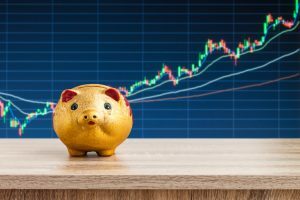 When you’re first starting out to trade penny stocks, you might want to risk less and look for higher-risk reward ratios. Getting back. When you know how much you’re willing to risk, simply subtract that from your entry price and that will be your stop-loss price. That means if the stock reaches that price, just sell your position. Great traders are disciplined and know when to cut their losses. When you’re learning how to trade penny stocks, you need to learn how to deal with risks. These are just a few principles you should take into account when you’re first starting out. That said, you should avoid getting caught up in penny stock success stories, conduct your own due diligence and practice using stop-losses. Jason Bond runs JasonBondTraining.com and is a swing trader of small-cap stocks.